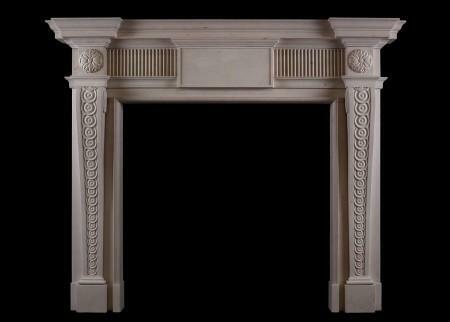 Thornhill Galleries holds one of the largest collections of superb quality marble, wood and stone period fireplaces in the UK which are regularly sourced through our extensive network of suppliers in England, France and Italy. 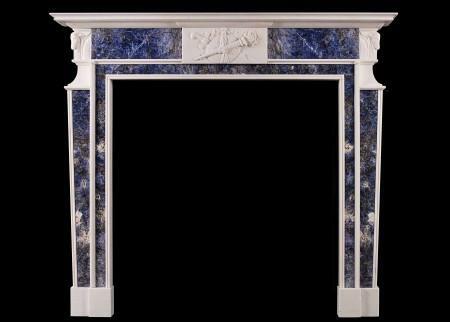 our complete collection can be viewed below. 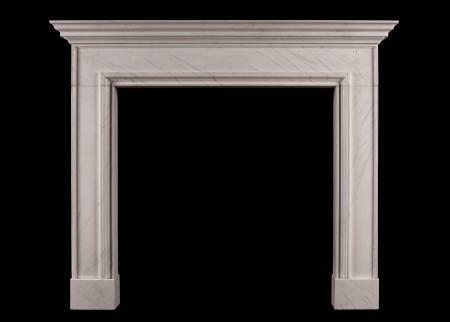 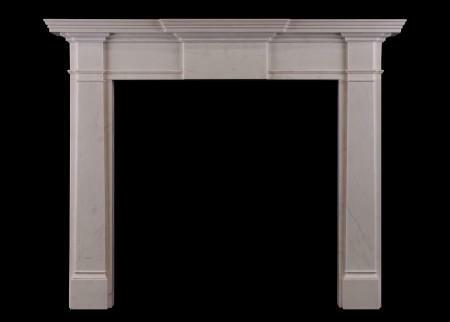 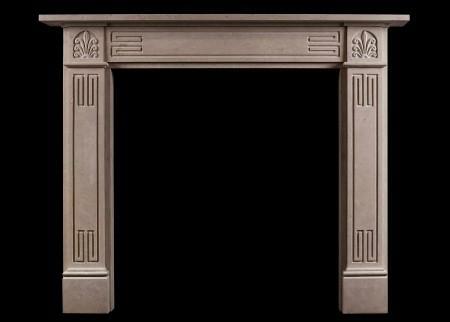 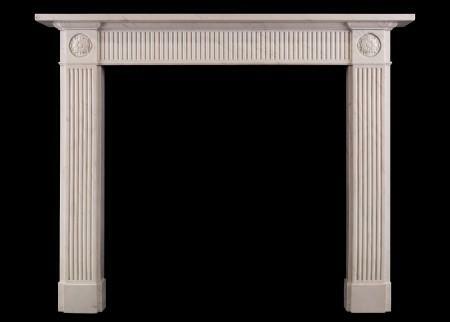 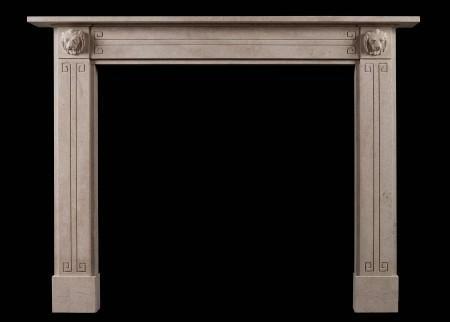 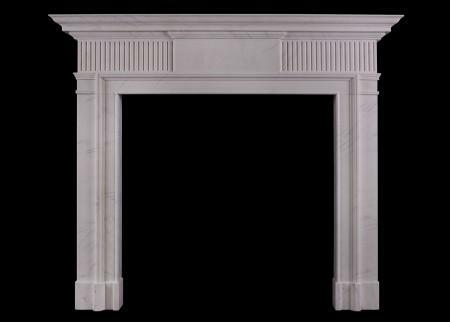 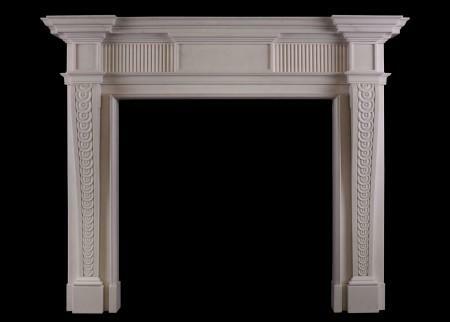 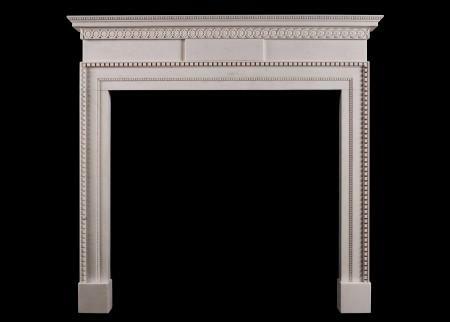 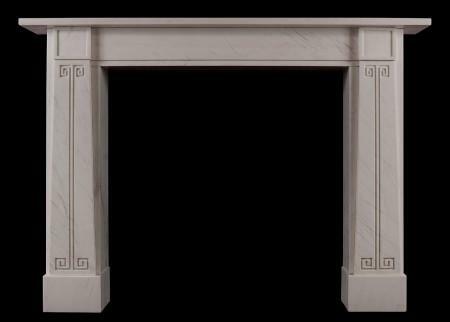 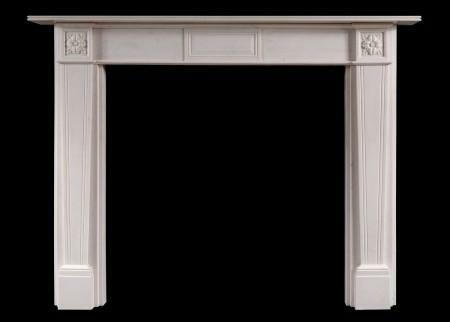 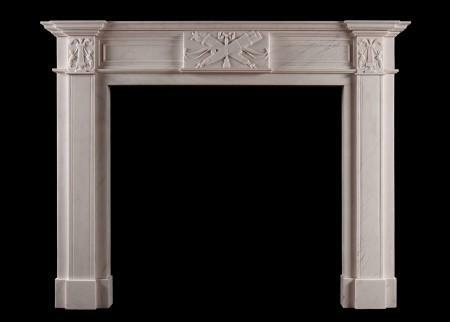 A good quality Italian fireplace in the Baroque manner in white travertine stone. 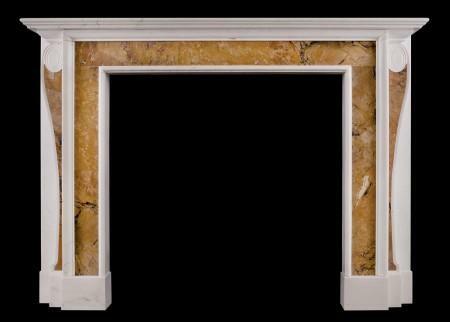 The shaped frieze with heavy moulding and breakfront shelf above. 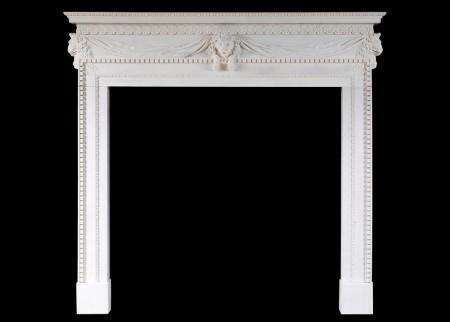 A substantial piece. 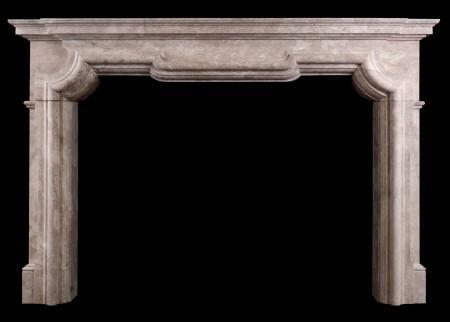 Modern. 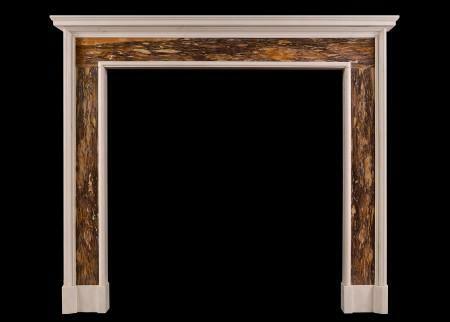 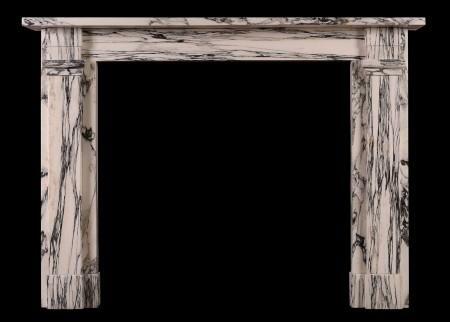 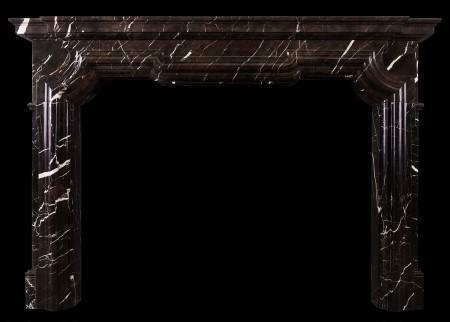 A good quality Italian fireplace in the Baroque manner in striking brown marble with white veining. 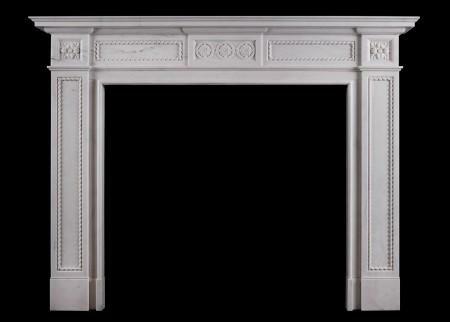 The shaped frieze with heavy moulding and breakfront shelf above. 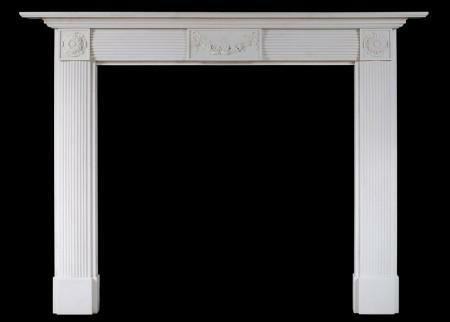 A substantial piece. 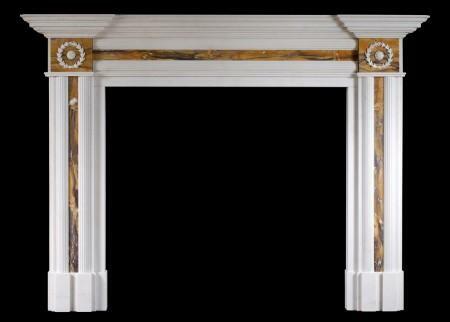 Modern. 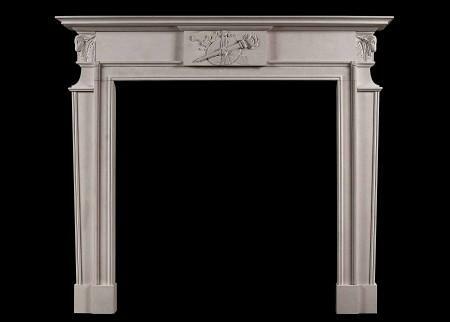 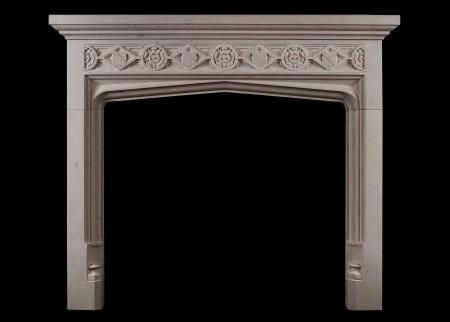 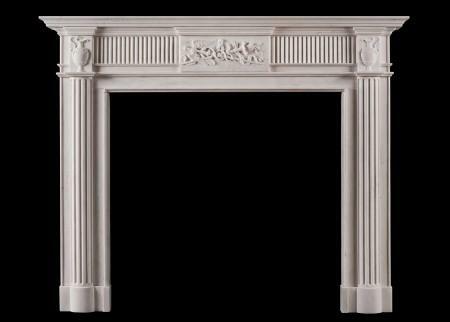 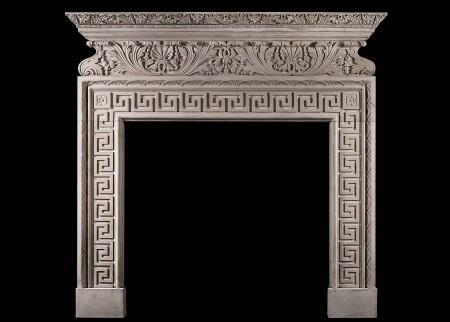 An Italian Baroque style fireplace richly carved from Portland stone. 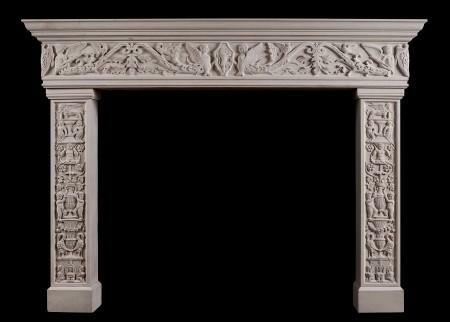 The ogee shaped frieze with carved acanthus leaves, shells and flowers. 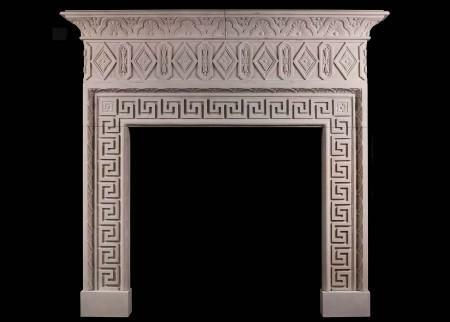 Similar carving to moulded shelf, and classical Greek key to jambs. A quality reproduction piece.